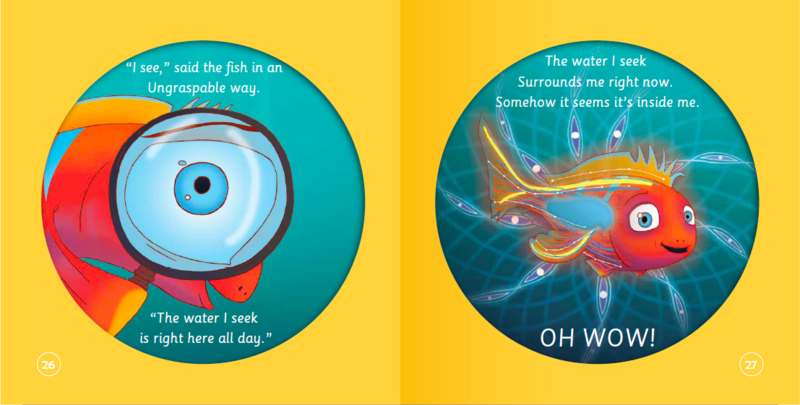 Products / THE FISH WHO SEARCHED FOR WATER, Helping children find comfort in what they already have. 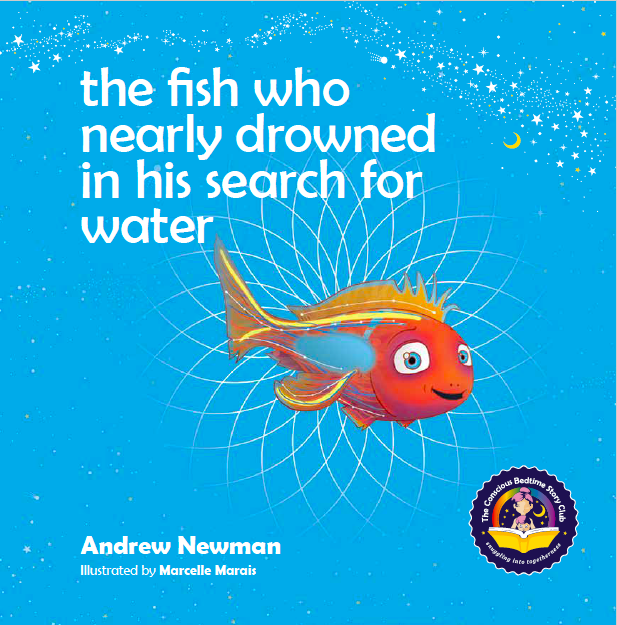 THE FISH WHO SEARCHED FOR WATER, Helping children find comfort in what they already have. 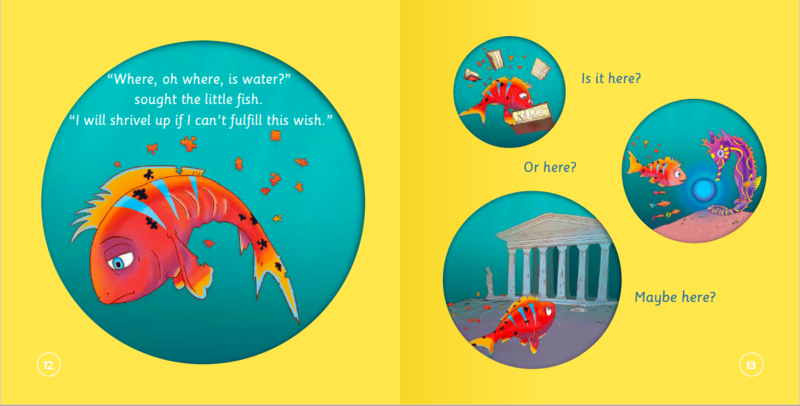 HELPING CHILDREN FIND COMFORT IN WHAT THEY ALREADY HAVE. 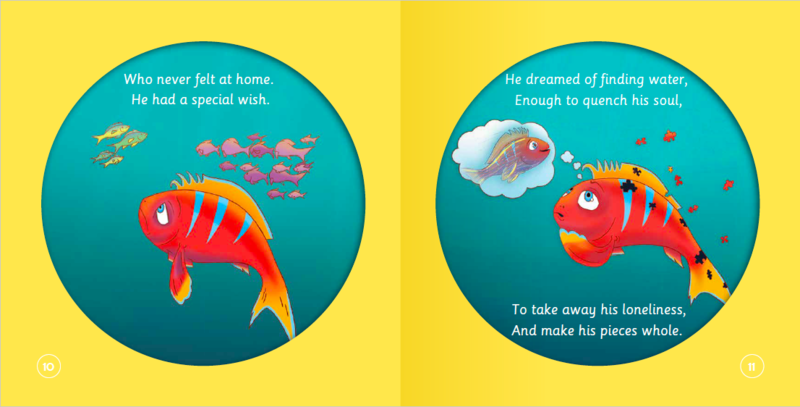 This charming and imaginative bedtime tale for kids ages 4 through 8 tells of the adventure of a heroic fish who searches for water to end his loneliness and increase his happiness. 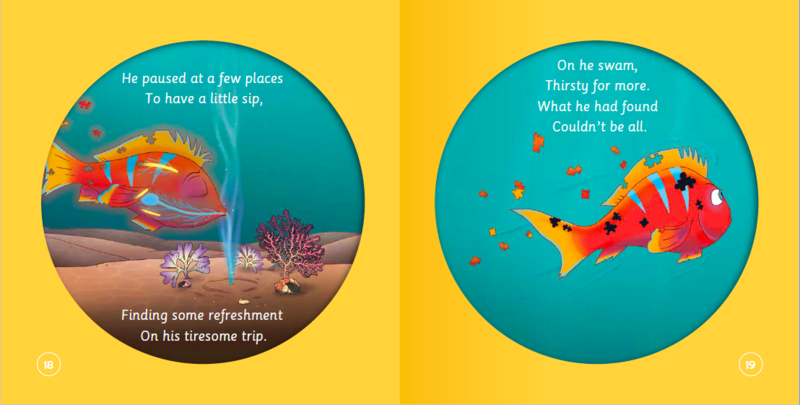 It will delight children and parents alike. 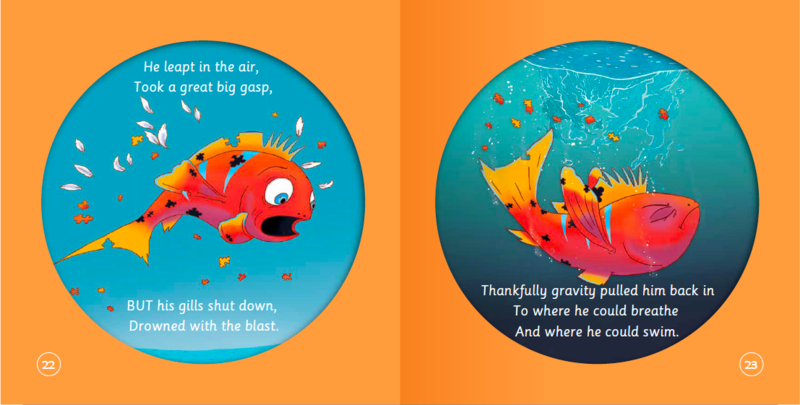 This beautifully illustrated book will help children recognize the love that surrounds them and increase their awareness of the world around them. 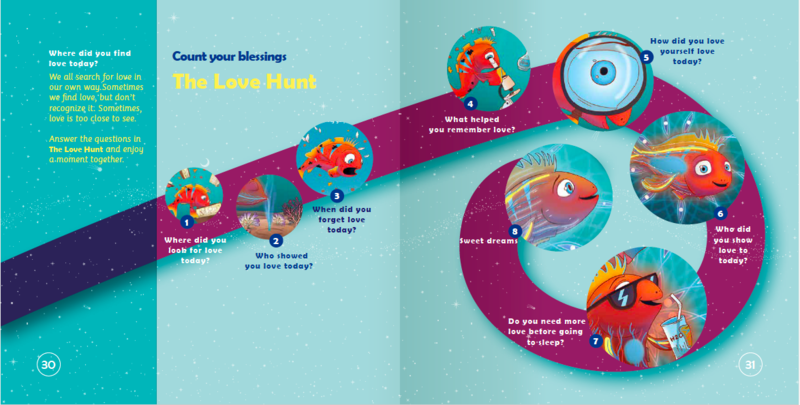 The Fish Who Nearly Drowned in His Search for Water ends with The Love Hunt, a set of questions to help children recognize and appreciate that they are surrounded by love wherever they are. A delightful reminder that what you seek is already here. 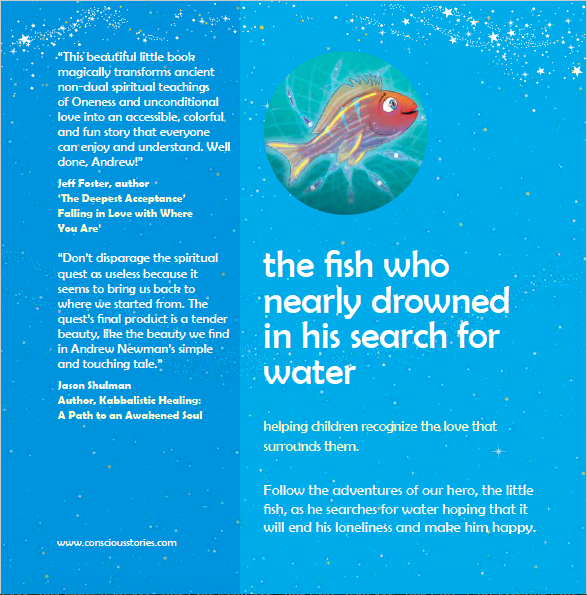 "This beautiful little book magically transforms ancient non-dual spiritual teachings of Oneness and unconditional love into an accessible , colorful and fun story that everyone can enjoy and understand"
' Don't disparage the spiritual quest as useless because it seems to bring us back to where we started from. 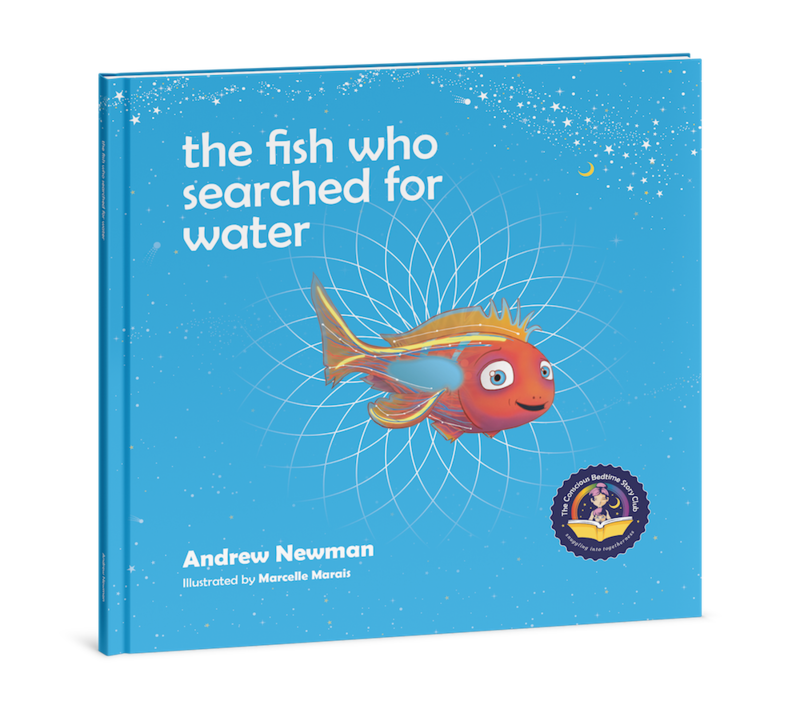 The quest's final product is a tender beauty like the beauty we find in Andrew's simple and touching tale"